Thread: Favorite Seafood Recipe and Food Pics! 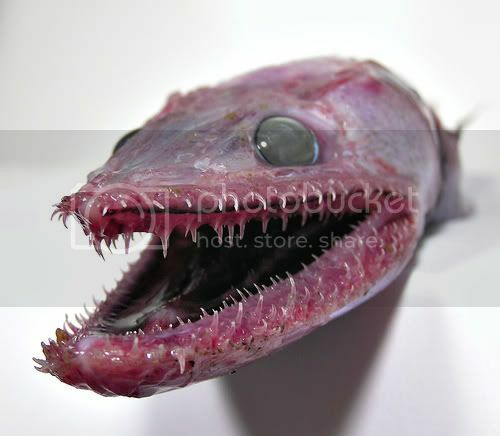 Got a good recipe for Shovelnose or Lizard Fish? Post up and share your favorite seafood recipes. From the ordinary to the bizarre, let’s see it! Here’s one of my all-time favorites. Cut Halibut fillets into 1 inch squares or strips (depending on the size of the Halibut). Pour some Olive Oil or Grape Seed Oil into a mixing bowl plus a teaspoon of pure Sesame Oil. 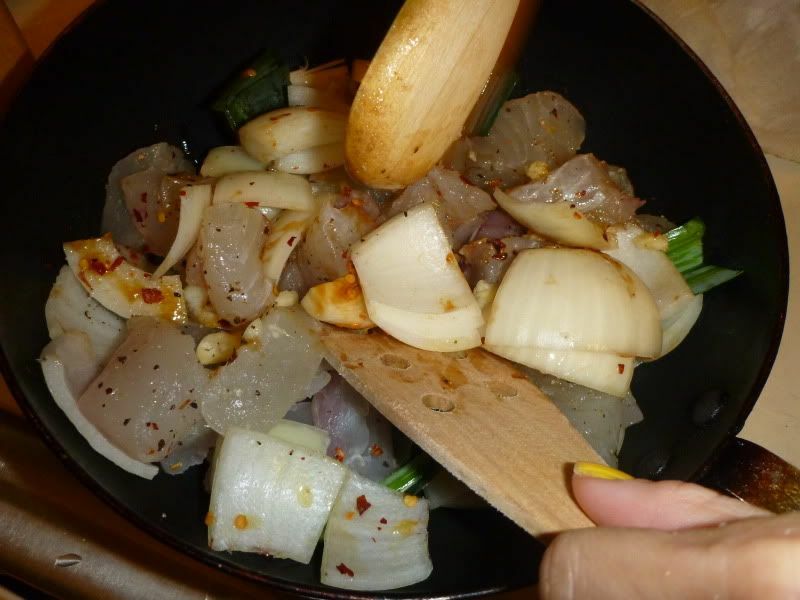 Mix in Halibut with desired ingredients (Onlions, Shrimp, Leeks, Bell Peppers, Mushrooms…) until well coated with oil. Add salt, black pepper and if you wish, some crushed red chili peppers and a touch of curry powder. 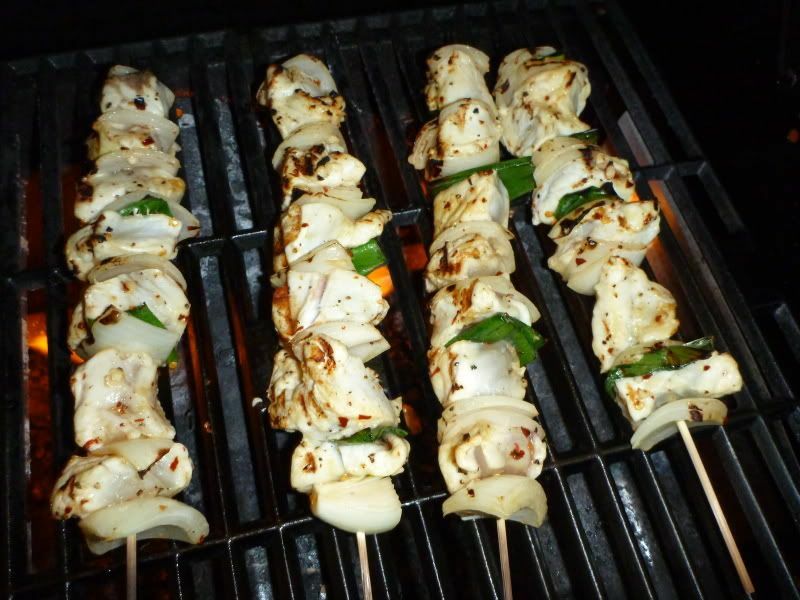 Place the skewers on the grill on high flames or on a cooking sheet in the oven on broil. 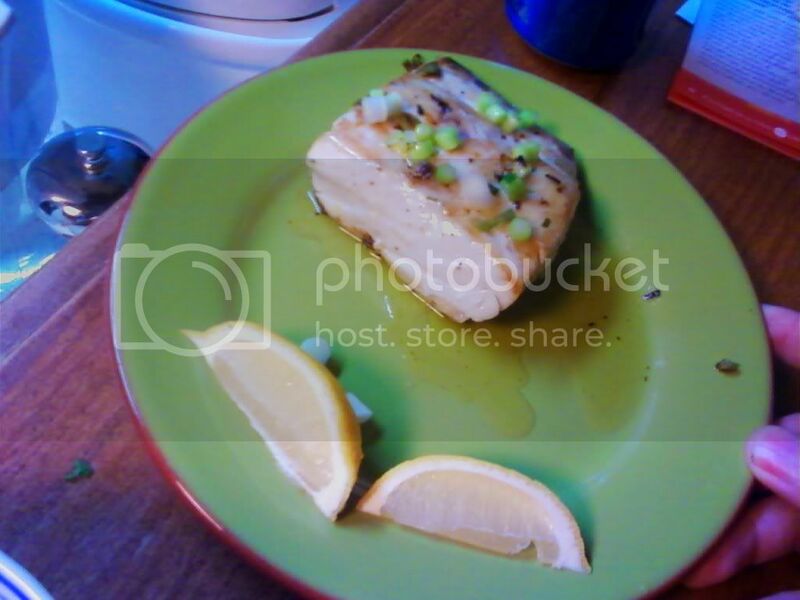 Cook until Halibut meat turns white. Approximately 5 minutes on each side. Brush the skewer with oil when you turn the skewers. When Halibut meat is white & flaky, remove from grill or oven, sprinkle on some dry roasted Sesame Seeds and it’s ready to serve. Best served dipped in Tartar Sauce, Tapatio Hot Sauce or Malt Vinegar. Can also be served in a Taco shell or over a bed of white rice or Rice Pilaf. 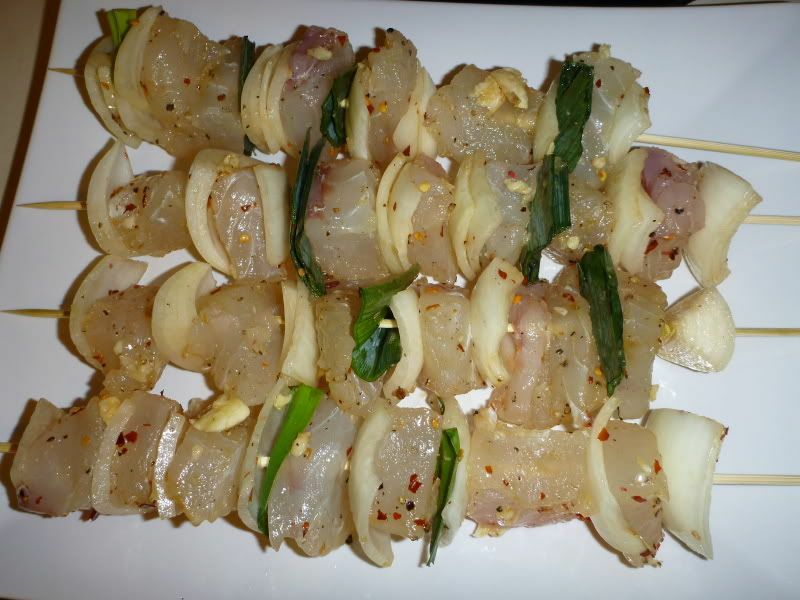 I like to eat my Halikabobs with a steamed Artichoke… YUMMY! Wow those look amazing. My favorite is cedar planked salmon. Don't have pics or info, but the next time I do them i'll take a few pics. Good idea Arthur. This could also be a SWAT category for the end of the season. Smoked Steelhead, Salmon or Trout. This is for 1 large Costco sized fillet. Increased portions will require adjustment. 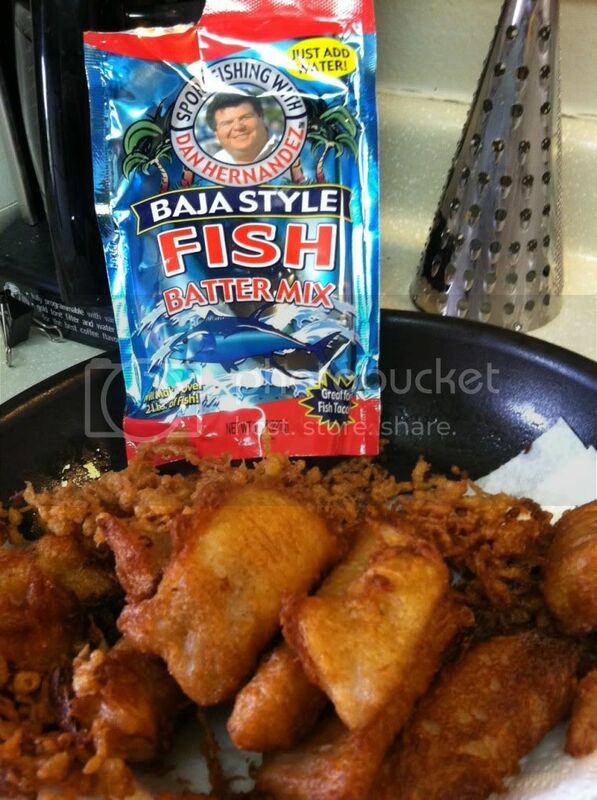 Mix in a large bowl all the above ingredients until dissolved. Place your fish fillets in the bowl and keep below the surface for 3 to 4 hours in the fridge. Very important. After soaking in the brine, let the fillets air dry for up to 2 hours. Smoke in a conventional smoker for 6 to 7 hours. Smoking is mostly a personal thing, so smoke it the way you like it. Some people use a little more Heat, some use less and so forth. If you have smoked anything you know what I am saying. Don't be afraid to even use a Weber Grill. 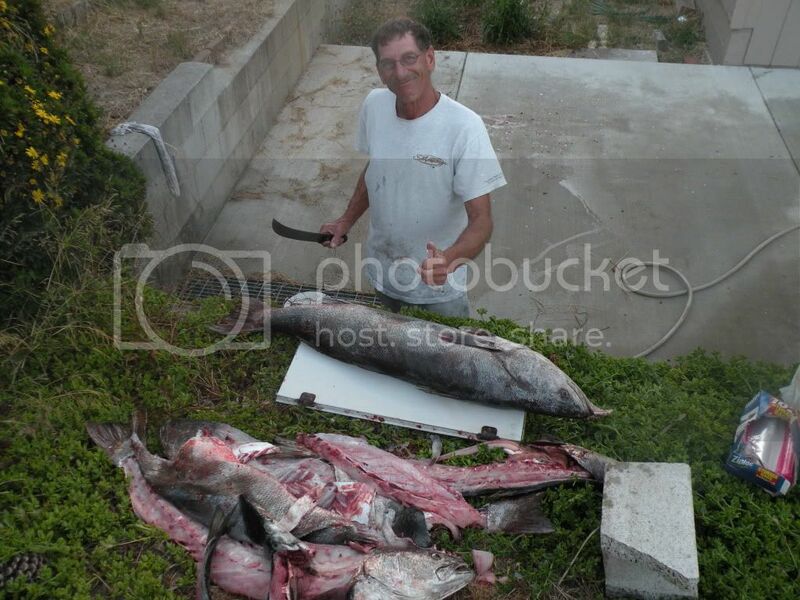 That's what I have and have smoked everything from Barracuda to Steelhead. Works great. Just need to watch the heat. I set my grill up with a few charcoal briquets to the side and then add pre-soaked in water Santa Maria Oak bark pieces. Add the fish to the opposite side of the grill, close the vents to almost closed. Add a briquet as needed as well as the bark or wood if you chose. The trick is to just keep the smoke rolling out through the neighborhood and enjoy a few cool ones in the process. First you need a WSB. 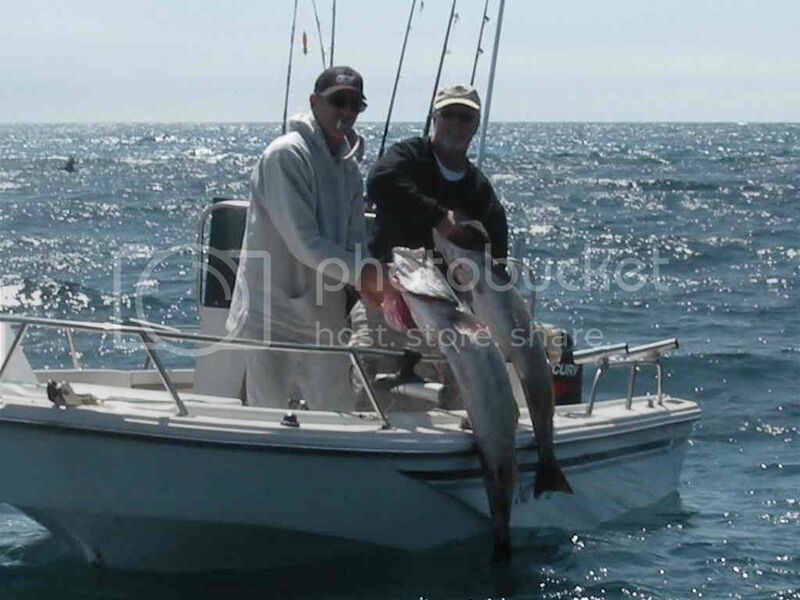 The best way I know to get one is, when FNN fishing Yoda EXFACTOR calls you, you show up on time and be ready to go. Gratuitous photo here. Well back to the recipe. Take the fillets and cut to portion size. Mix together in a bowl, 1 cup of Mayonnaise and a 1/2 cup of shredded Parmesan Cheese, more if you like. 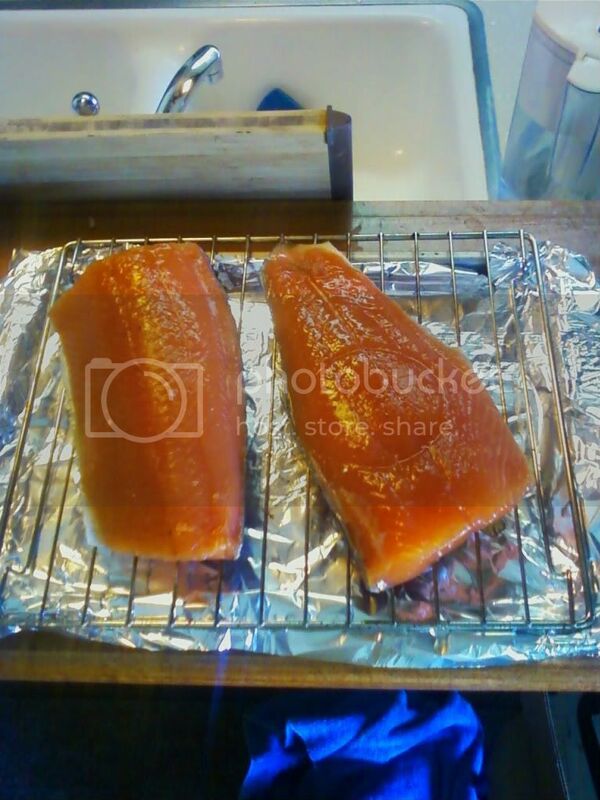 Put foil over a cooking sheet and place the fish on the foil. Then add a table spoon of the mixed mayo and cheese on top of the fish. Add some cut green onion and enjoy. Sometimes it seems I have a personal Chef. NOT really, but my fishing buddy George aka FNN G-Mart comes over from time to time. We end up cooking all kinds of stuff. Deer meat from Wyoming, Fillets from Costco as in home made stuffed Salmon and the list goes on and on. Oh crap I almost forgot, Can you say Chicken Wings that melt in you mouth............ Best anywhere, and I am chicken wing snob. Nice Recipes! Mayo WSB?? haha that sounds different, but I will try anything once! Look at all those WSB thats awesome!!!! I'll see if I can buy some Salmon soon from the market. And when I get my next legal hali, I'll give Arthurs recipe a spin. Either way I'll post results! 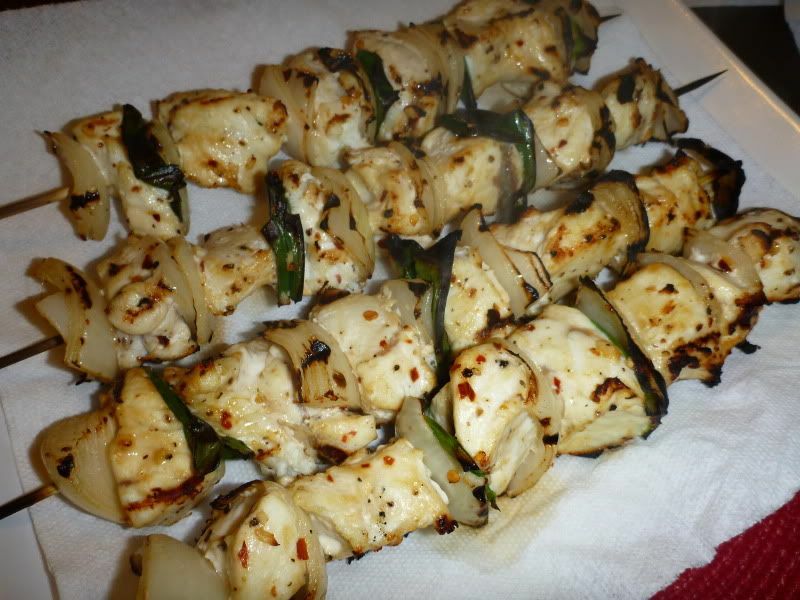 If you have never eaten shovelnose shark (guitar fish), I highly recommend making these kabobs. Its not a complicated process, and as with most kabobs... the BBQ is the key! ...but if there is anything that I say is a must to get these kabobs to come out right, its the pre-preparation. Pre-preparation consists of simply cleaning the shovelnose (guitar fish) correctly and choosing choice cuts for your grill. Be sure to chill the meat and cut out any red meat (marbling). The shovelnose steak is long a tubular, so making your kabob chunks its easy. Simply cut them into 2 inch cubes and wash them well in cold water. <DIV align=left>Marinade: Soak your meat in your favorite Chinese marinade or make your own like I do. Marinade for 2 hours. 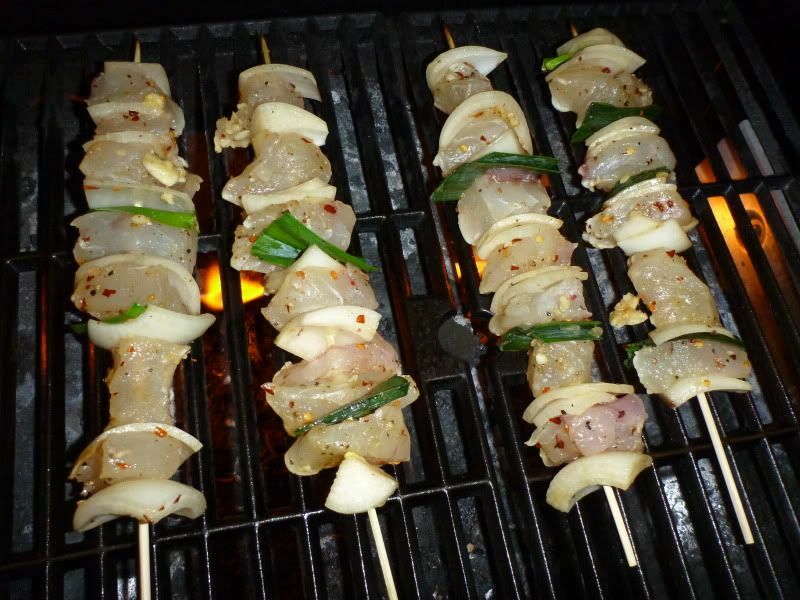 Now the meat isgood to go,and your ready to skewer your kabobs with the shovelnose chunks, and your favorite fruits and vegitables...below is basically what I like to throw on the screwer with the shovelnose. Lightly brush on (using glaze brush) Canola or Vegetable oil onto your shovelnose chunks. This will help keep them from sticking to your grill. Now your ready to BBQ! -10 minute cook time (turning kabobs occasionally on grill). Saurida tumbil and close relations, fish of Indo-Pacific waters which have lizard-like heads. Maximum length 45 cm (18″). These fish are moderately good to eat, but tend to be dry, so unsuited to grilling. In Thailand (where S. undosquamis is the preferred species) they are usually boiled, or made into fish balls, or conserved by canning or salting. Not going to take full credit for this one as i found it on a cooking site in the past. But i can vouch for it being one of the best tasting recipes i have ever had for seabass or Halibut. It also can work well with Yellowtail and Tuna, but i have to say the best is Seabass. The recipe is not very hard at all and your spouse or friends will think you are a gourmet chef after you make it. In a food processor, combine macadamia nuts, bread crumbs, 1 teaspoon olive oil, black pepper, and red pepper flakes. Process until smooth. Preheat oven to 350 degrees F (175 degrees C). In a small saucepan over medium heat, combine mango, cream, and lemon juice. Bring to a boil, reduce heat, and simmer until thickened. Season fish with salt and black pepper. Heat 1 tablespoon olive oil and crushed garlic in a large skillet over medium heat. Sear the sea bass on both sides, and remove from heat. Transfer fish to preheated oven, and roast until cooked through. Cover the sea bass with macadamia crust, and return to the oven until crust browns. Top with the mango cream sauce. Get a few bags of this. Get more than one. 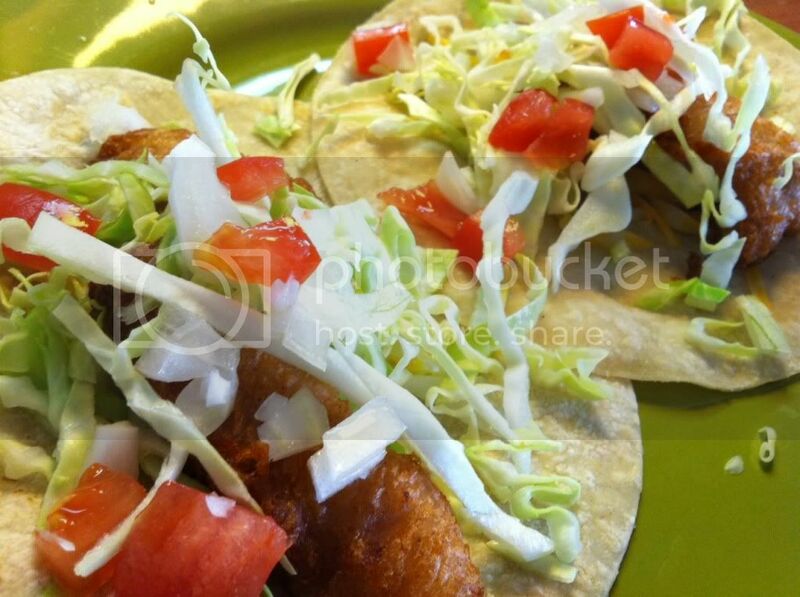 You will be craving fish tacos all the time and when you do you'll be ready in minutes. Enjoy with a Cold one or Two. I'm going to culinary school, so I'll have some recipes to share soon!! Last edited by Tammyn77; 04-24-2012 at 08:59 PM. I decided to try a new recipe, its quick & simple! Hope you enjoy it! Line a 15-in. x 10-in. x 1-in. baking pan with heavy-duty foil; grease lightly. Place salmon skin side down on foil. Sprinkle with lemon-pepper and onion salt. Top with onion and lemon. Dot with butter. Fold foil around salmon; seal tightly. Bake at 350° for 20 minutes. Open foil carefully, allowing steam to escape. Broil 4-6 in. from the heat for 8-12 minutes or until the fish flakes easily with a fork. Combine the dill sauce ingredients until smooth. 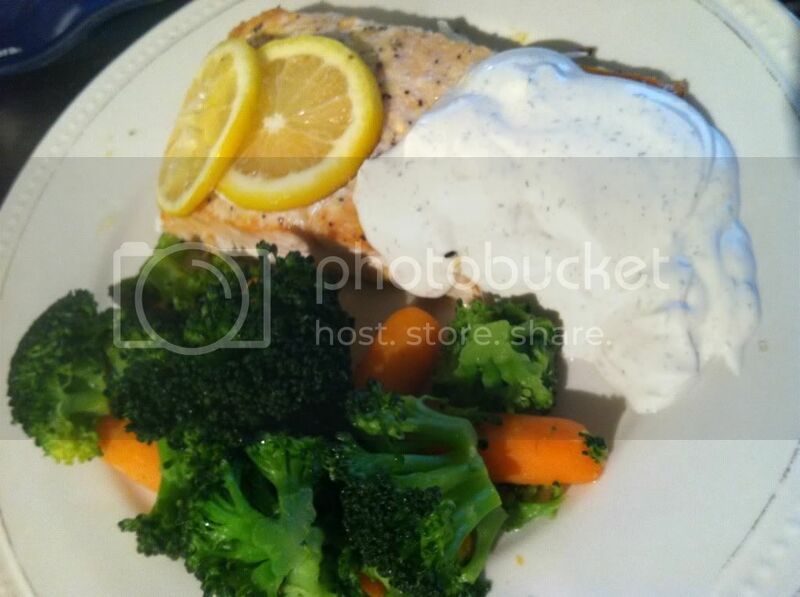 Serve with salmon. That dish looks fantastic Tammy... Those classes are paying off already!